Bob McAllister made his mark on the Maine basketball scene in a memorable overtime win over Brewer High School in the 1959 tournament at the Bangor Auditorium in front of 6000 fans. Bob’s team lost in the finals to Bangor despite his 28 points. After high school, Bob accepted a scholarship to the University of Rhode Island. 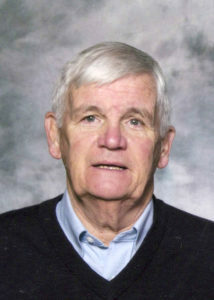 He became the only Maine official to referee in the NBA in the late 1970’s. He continued to officiate high school and college basketball in the Portland, Oregon area for many years. Bob still serves the Pac – 10 and the NBA as an official “ Observer of Officiating” in the Northwest.